A mobile home community where most residents are retired has been left “disgusted” and “devastated” at the potential loss of their only bus. At least one resident has put her home up for sale – saying she can’t live at Bramfield Mobile Home Park, near Lubenham, if there’s no bus service. As reported in last week’s Mail, the Hinckleybus service number 58, which runs between Market Harborough and Lutterworth via seven villages and many more smaller communities like Bramfield, is due to be axed by parent company Arriva by July 15. “It’s disgusting – the bus is a lifeline for people here” said Bramfield resident and park caretaker Ann Hall (73). Brampton Mobile Home Park co-owner Albert Saunders said almost all residents at the park were over 55, and many were in their 70s. Simon Finnie, area managing director for Arriva, has said “consistently low passenger numbers” made the service “commercially unviable”. 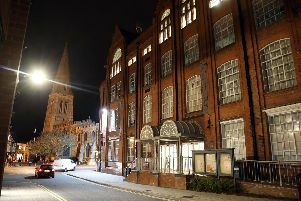 At Harborough District Council, councillors have said the axe threat was “shocking” and “very worrying”.